“Chingados!” screamed the thuggish invaders as they pushed police to the ground and laughed at them. “Grocerias!” they screamed at the police, apparently voicing their joy at finally being able to buy groceries. The police had no fight in them and the hundreds just poured through. “Prendiamos il Welfare” screamed others, smiling. A life of hard work was finally at an end. The cheap gate – just sections of chickenwire fence – was easy to defeat. Why can’t they make a solid concrete barrier? It’s all just show of course, they know the cheap gate will be defeated. Others simply took one of 20 boats ferrying people across below the bridge. The police acted like they were invisible. 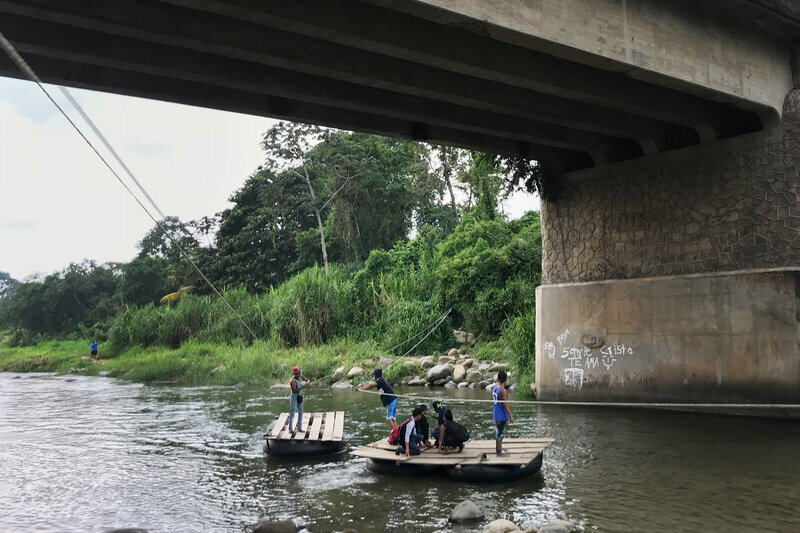 Right under the border, makeshift rafts and ropes ferry invaders across to the blind eye of police who didn’t care. 100,000 illegals poured over the US border in March. The decline of a white majority has been an obvious trend for a couple decades, but the acceleration just over the last few years is noticeable everywhere. I just didn’t think the total collapse would be so soon.